Edge may be famous for having provoked the attentions of Edge Games arch-loon Tim Langdell, but then anything with “Edge“ in the title is likely to do that. 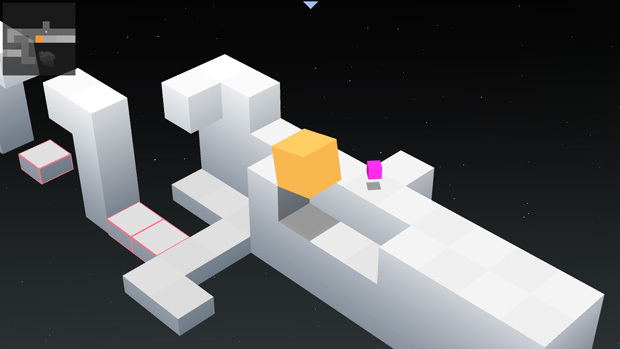 For all the name chopping and changing and legal fracas, one thing remains – Mobigames’ innovative 2008 puzzler was and is another indie classic. Edge is a splendid enough proposition for other platforms, but the comprehensive content, tight controls, excellent value and tasty looks of the Wii U port make this perhaps the best version you can own. 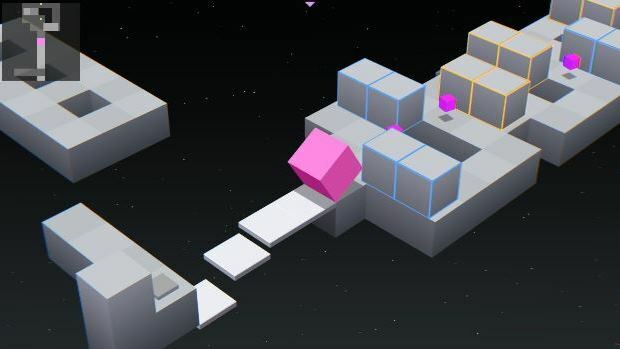 Hewn from the same retro-tinged slab of gaming base material as Fez or VVVVVV, Edge has a simple enough idea – you guide a block along an isometric blocky maze – think Crystal Castles or Marble Madness – with strict rules governing your movement. You cuboid avatar moves one square at a time and can be moved in four directions using the analogue stick. Your aim, ostensibly, is to reach the goal. But there are also glowing prisms to collect, which may be placed precariously or in spots that require a bit of thought to reach. Start beating the levels, and you realise that the game is throwing score attack-esque facts and figures at you. What does it all mean? There is more than meets the eye, y’see. 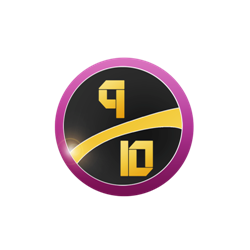 A rank is awarded for each stage, based around a number of factors such as time taken to clear, number of times your cube drops into the abyss, prisms collected. All pretty standard stuff thus far. But then you learn about the brilliant Edge Time – a mechanic that gives the puzzling a risk/reward element more in common with performing tricks in a skateboarding jam. Tilting the analogue stick to precariously balance your cube on the edge of a block or surface brings up a timer to analyse how long you spend in Edge Time – as you learn that the key to obtaining those elusive S+ ranks is a combination of speed, accuracy and flair. It is great. A steady drip feed of new elements helps things immensely. You are given a bit of hand-holding – an occasional “?” will pop up and give you a tip regarding how to progress. 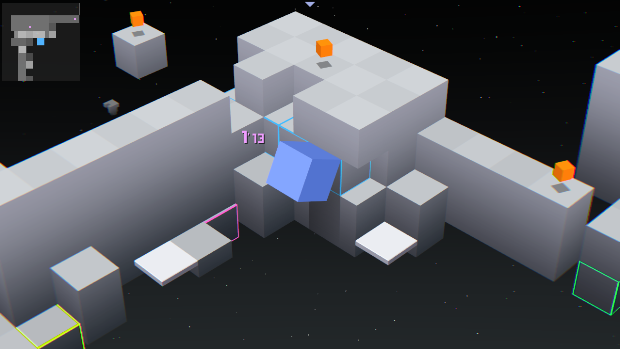 Initial levels help you get to grips with how your cube moves and teaches the basics, but new and surprising stuff is introduced at regular intervals and you will soon find yourself shrinking, dashing across falling or moving platforms, and even facing off against anthropomorthic clusters of blocks that impede your progress. There is a particularly brilliant stage where you find yourself in confrontation with a presumably evil “dark cube” that goes hell for leather to stop you from reaching your goal. Controls are a dream, with the d-pad and analogue stick the only methods required, the latter in particular being particularly responsive and a big improvement on touch screen controls. Content wise there is plenty of puzzling to go around. Once the basic levels are done and dusted there are bonus levels to play through, which would have made this decent enough value as it is with the low pricepoint – but the inclusion of all of the additional expansion content from the Steam version means that you have a hell of a challenge on your hands, especially when you consider how fiendishly addictive matters become when going after perfect ranking scores. Wonderfully blocky retro aesthetics are a crisp and functional treat in high definition, with the polyagonal action moving along at super-smooth sixty frames per second. The old school vibe stretches to the soundtrack, which has to be said is utterly fantastic. People will call it “chiptune”, but comes off sounding more like a rather intelligent, texturally lush take on ambient techno. It is really special. VERDICT: Edge has a lot to give you. You can pick it up and whizz through a few levels at your leisure and just enjoy the blocky, bleepy wonderfulness of it all. Or you can focus on becoming a master of the flashy balancing trickery, eking every last drop out of it, keeping your best times as low as they can possibly be, not missing one damn prism. Arguably the pre-eminent puzzle title for the Wii U, don’t let the fact that this is half a decade old put you off. It is a fresh take on a classic game that makes fine use of the hardware. Download code provided by publisher.